Bill Ivy, the 1967 125cc world champion, lived fully the pulsating life of that great decade in which he became a factory rider, riding capricious 125 and 250cc V4 two-strokes for Yamaha. Ivy looked like he could have been the bass player in the Rolling Stones. He bought – and crashed – Ferrari sports cars. He had a blazing Rossi/Biaggi-style feud with his team-mate Phil Read. And he lost his life on the Sachsenring public-roads circuit when his temperamental 350cc Jawa V4 two-stroke (like flares, complex stroker fours were all the rage then) seized solid and he was flung into an unprotected concrete post lining. That was how much organisers valued riders’ lives in those heartless times. 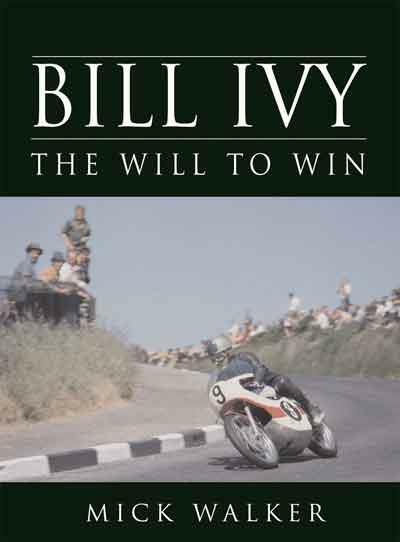 In Bill Ivy, ex-racer and tuner Mick Walker portrays the life of the little Kent rider – he was only about five feet tall – who was tough as hell as he skated those two-stroke beasts to race wins in an era when evolving Japanese technology created one of the greatest of grand prix eras. A great feature of this book is the frequent side panels that describe the personalities and bikes – Frank Sheene, Tom Kirby, Derek Minter, Mike Hailwood, Phil Read, Honda CR93, Yamaha RD56 – that made the sixties.